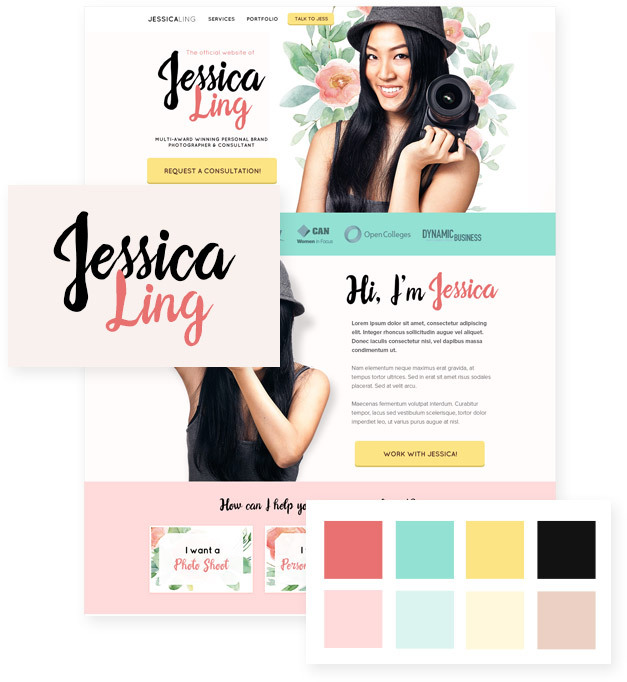 From receiving your first design concept to taking your website live. 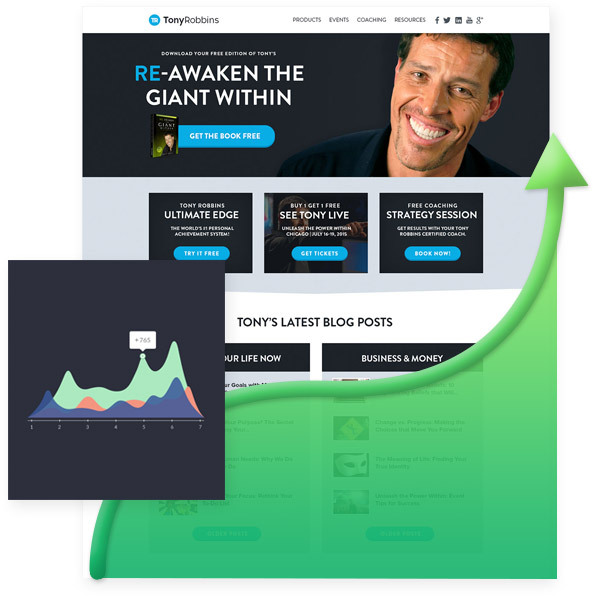 Here’s a complete step-by-step process of taking your new website or landing page live. The first step to a new and improved website or landing page is to order a design package directly from our website. It's super easy and takes less than 5 minutes. After you've placed your order, you'll then fill out a simple 5 minute design questionnaire. This gives us an idea of your vision, goals and target audience and how we can best match this to your new design. Someone from our team will then confirm your order and if we have everything we need we'll get started in the next 24 - 72 hours. As soon as the intial design concept is ready, we'll send you a link to the concept. The initial concept is only a partial design intended to establish a branded colour palette, typography and mood for the rest of your design. You can either approve the initial concept or request revisions. If you approve it we'll move forward and create the rest of your design based on this initial concept. Otherwise we'll revise your concept based on your feedback and work with you until you're happy. Upon approval we'll flesh out the rest of your design and will send you a final code-ready design. This can take anywhere between 3 days to 2 weeks depending on your design package. Once your design is complete, it's now time to get your design coded into a live, functional landing page or website. We can manage the coding for you, simply select this option on the checkout page when you order your design. Otherwise we can provide the design files so you can have the design coded elsewhere. The coding process can take between 1 - 2 weeks for smaller projects (i.e. 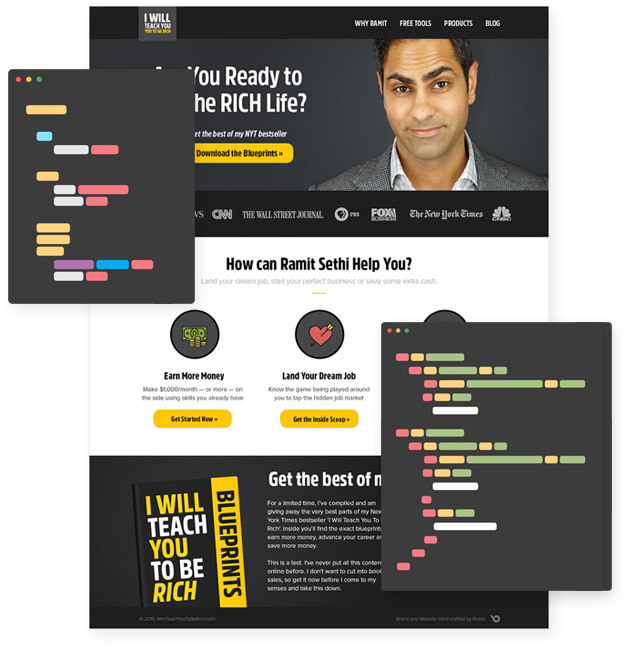 small landing pages) and up to 6 weeks for larger, more complex projects (i.e. custom Wordpress theme development). If you choose us to manage the coding, we'll ensure quality control so that the design looks as close to our design as possible and that the final web pages look great across all devices. Once coding is complete, it's time to go live! If you hired us to manage the coding, we can also provide a seperate quote for installation, migration and implementation. Once your website or landing page is complete, it's then up to you to install your favourite plugins and setup your pages with any third party services (eg. email marketing software). We can refer you to partners who can manage this for you if you'd rather not do it yourself. Our job is done and you're now free to advertise and market your new website as much as you like. Need more design work? We recommend jumping on one of our design plans where you can send us as much design work as you like each month and we'll work on it on a rolling basis - just like having your own marketing trained designer.